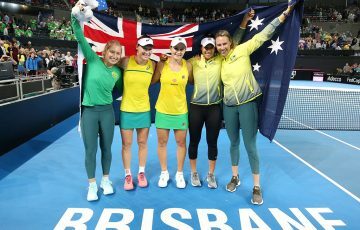 In Australia, there’s no shortage of tennis programs, initiatives and playing opportunities, something to celebrate on the inaugural World Tennis Day. 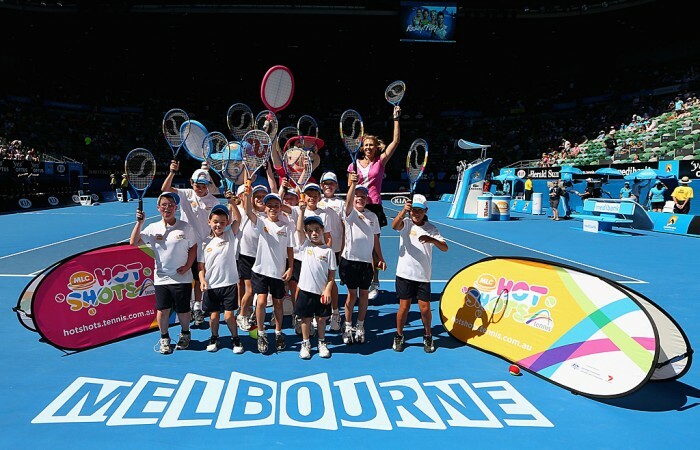 In Australia, there’s no shortage of tennis programs, initiatives and playing opportunities. And tomorrow, Tennis Australia will join with tennis federations all over the world in celebrating these grassroots programs and club-based activities in a bid to attract new participants to the sport. Monday 4 March marks the inaugural World Tennis Day, an initiative of the International Tennis Federation (ITF) forming a core part of its centenary celebrations. 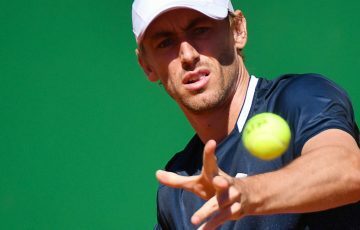 The ITF’s national associations, including Tennis Australia, will join with some of the game’s biggest stars in promoting tennis around the world. Among the festivities will be two glittering BNP Paribas Showdown events – one in New York, one in Hong Kong – featuring some of the game’s biggest stars in exhibition matches, while all over the United States, several thousand clubs are expected to throw open their doors to allow more kids to get out on court. Many other nations will focus on promoting the ITF’s Tennis10s program, an designed to introduce children to the sport through modified equipment. Australia is one of the leaders in this area. Tennis Australia’s own MLC Tennis Hot Shots uses lower compression balls, lighter racquets and smaller courts to make it easier for young kids to pick up the game and begin learning its basic skills, a program demonstrated by 610 participants through MLC Tennis Hot Shots exhibitions on show courts across Melbourne Park during Australian Open 2013. MLC Tennis Hot Shots is now introducing tennis to more children than ever before through the National Schools Partnership Program (NSPP), recently launched by former top 10 star and Hot Shots ambassador Alicia Molik. The NSPP supports schools including tennis in their health and physical education curriculum by linking them with nearby Hot Shots coaches, ensuring a smooth pathway for kids to play at a local club and enjoy the sport. 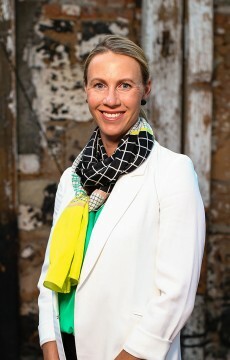 Super10s is yet another Tennis Australia initiative aimed at attracting youngsters to the sport. Promising athletes born in 2003 and 2004 are encouraged to try out for the competition – held this year in all Australian states and territories – which is designed to develop competitive skills, promote teamwork and engage athletes while also serving as a valuable talent identification tool. 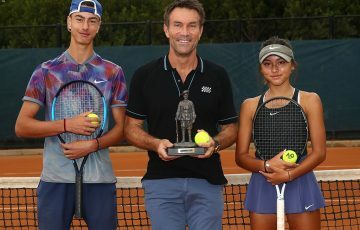 Super10s players also gain once-in-a-lifetime chances to toss the coin at Australian Open finals or receive invitations to Tennis Australia’s National Talent Development Camp. At AO2013, 73 MLC Tennis Hot Shots and Super 10s participants tossed the coin prior to matches. 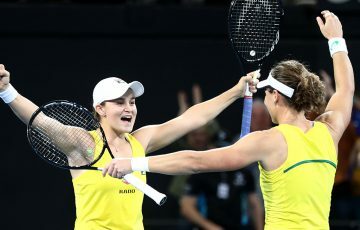 Tennis Australia has ensured that competitive opportunities exist for tennis players throughout the developmental pathway, from Optus Junior Tour events and Australian Money Tournaments to elite Pro Tour events. 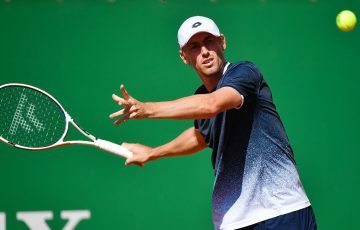 A $50,000 men’s Challenger Pro Tour event wrapped up today in Sydney, while a $10,000 women’s event – also at Sydney Olympic Park Tennis Centre – is set to kick off on World Tennis Day. 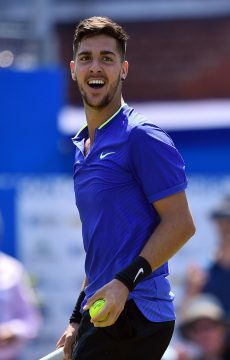 Aussie 17-year-old Nick Kyrgios, the winner of the men’s event, said that despite the competitive level at which he plays, he still enjoys the sport. 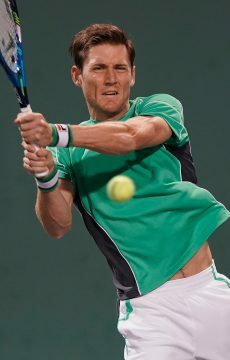 “Tennis is great not only for fitness and keeping healthy but it’s also a very social sport,” he commented. “It’s sometimes about the contest and gets you in a competitive spirit. I think that’s a good thing for people to get out on the tennis court to showcase all different talents. Children and emerging athletes are not the only groups being targeted on World Tennis Day. One of the key messages is that tennis is a fun, easy and healthy sport, something that resonates with people of all ages. Tennis Australia’s Cardio Tennis program embodies these elements, with its high-energy format designed to maximise enjoyment and promote significant health benefits. Cardio Tennis was demonstrated just recently at Australian Open 2013 through a vibrant flash mob at Melbourne’s Federation Square, helping thousands in the city’s busy central business district to discover the program and give it a try. Also in keeping with the theme of participation was Tennis Australia’s recent “Do Something Australian on Australia Day – Play Tennis” campaign, aimed at strengthening local communities and encouraging neighbours from different cultural backgrounds to come together over a game of tennis. Finishing just over one month ago, Australian Open 2013 acted as somewhat of a precursor to World Tennis Day. 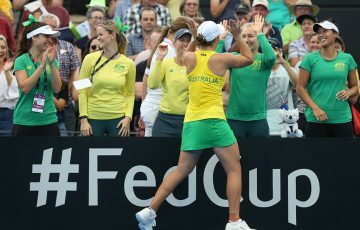 The Grand Slam event, the jewel in Australia’s tennis crown, each year draws in several hundred thousand fans and many millions more on TV and online, the perfect promotion for the sport both in Australia and around the world. The international and domestic AO trophy tours connected the event with countless fans in the lead-up to Australian Open 2013, with an exotic three-week tour of Asia helping to cement the tournament’s status as the premier event in the Asia/Pacific region, and a tour of Australia’s major cities and natural wonders giving fans a taste of sporting prestige on home soil. Tennis certainly resonated strongly with local fans thanks to the many Australian success stories at Australian Open 2013, including Kyrgios beating Thanasi Kokkinakis in an all-Aussie boys’ final, Jarmila Gajdosova and Matt Ebden claiming the mixed doubles crown, and Casey Dellacqua and Ash Barty making a dazzling run to the women’s doubles final. It will undoubtedly continue to do so after what promises to be an exciting inaugural World Tennis Day tomorrow.